I am just looking at the AUDUSD and it looks so ripe to do a Long Call Option. 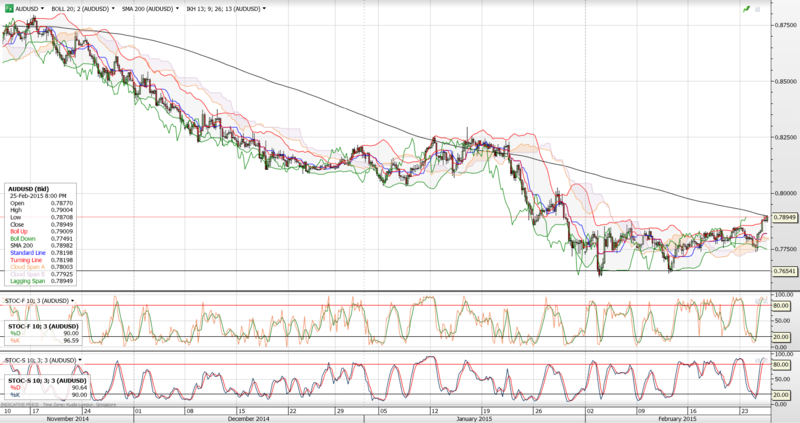 The Daily chart and the 4H chart suggests technically that the AUD has turned from the bottom. 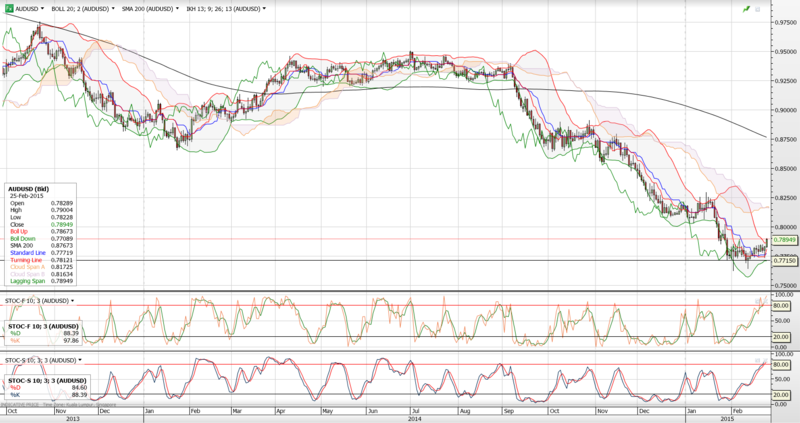 In fact, it is about to cut up on the 200 day average of 0.7898 in the 4H chart. Therefore, I am confident to buy a 3 month call option strike at 0.8000 with a premium of 97bps, a breakeven of 0.8097 and expiring on 29 May 2015.